Dr Wakefield responds to UK public health officials call for censorship on MMR vaccine safety debate, measles vaccine failure, and issues a further challenge for open debate. Liberal Democrat MP John Hemming, who chairs the campaign group Justice for Families, said: "The delay in producing family court judgements following private hearings deeply concerns me and this is par for the course. "MMR is an important issue – although it's not the first time it's come before the courts. There is no doubt in this case that the judge should have issued an anonymised judgement at an early stage." 99% of experts support the view that childhood vaccinations are safe and effective, whilst 1% do not. Why, then, would the mainstream media give any kind of air time to science deniers? 'RICHMOND, Va. — In the wake of a measles outbreak, the Center for Disease Control has warned parents to vaccinate their children. “We are very concerned by the growing number of people who are susceptible to measles and to the possibility that we could have a large outbreak in this country as a result,” CDC Director Tom Frieden said on Face the Nation. “We are paying the price for letting people opt-out,” Del. John O’Bannon (R – Richmond) said. O’Bannon, a physician, said some lawmakers would like to see legislation or legislative action that could hold parents accountable for refusing to vaccinate their children. O’Bannon said he would like the governor’s administration to also consider action. Oh, you 'understand that citizens have a right not to vaccinate their children', do you Del. 'Dr.' O'Bannon ((R – Richmond), but you'd like to take that right away? And the outbreak is said to have started in Disneyland, Satanic hotbed of child abuse and MK-ULTRA 'Mind Control', as well, of course, of sexualising movies and cartoons aimed at children. Surprise, surprise. ...(a confidential) GlaxoSmithKline report (now available on the Internet)... provided ample evidence of adverse events from the vaccine, including five known cases of autism resulting from the vaccine’s administration during its clinical trials (see table at page 626, excerpt below). Where the ORTHODOXY is that there is only one side to the discussion? And where it's okay not to have any opposing views. It's a misleading headline, but the point is if parents refuse to have their female children vaccinated with the anti-cervical cancer vaccine will lose up to A$15,000 per year, per child, in federal support money. Every family in Australia is eligible for federal money. That's A$300 a week, a lot of dosh. Canadian mother, Karen Kain, having lost her precious daughter directly to vaccination, like so many other parents whose stories are blacked out of the mass media, never gets heard. On August 27, 2014, Dr. Thompson, who worked as a CDC scientist for 16 years issued a statement saying that he and his coworkers changed statistically important data, which showed that African American males had a 240% higher increase in the risk of Autism when given the MMR vaccine before 36 months of age. To make this data look more favorably they pulled every child out of the study who didn’t have a valid Georgia birth certificate. That then reduced the African American population in the study group by 41%. It weakened the analysis so the results were no longer significant. The link between MMR vaccine and autism is gaining momentum as more people are now trying to take vaccine makers to court, while the media is leaking stories about children who have developed autism after receiving the controversial vaccine. After four years of trials of the MMR (Measles, Mumps, Rubella) vaccine, Japan stopped giving it in 1993; the government reconsidered using the MMR vaccine, but decided to keep using individual vaccines for measles, mumps and rubella. As the Disney measles outbreak was seizing the front page of countless newspapers, another story was being unraveled behind closed doors: Merck was facing allegations with regard to the efficacy of its MMR vaccine. The accusations came from different parties in the medical field, including two former Merck scientists and a scientist at the U.S. Centres for Disease Control (CDC). From 1 January 2016, ‘conscientious objection’ will be removed as an exemption category for child care payments (Child Care Benefit and Child Care Rebate) and the Family Tax Benefit Part A end of year supplement. Immunisation requirements for the payment of FTB Part A end-of-year supplement will also be extended to include children of all ages. Currently, vaccination status is only checked at ages 1, 2 and 5 years. Existing exemptions on medical or religious grounds will continue, however a religious objection will only be available where the person is affiliated with a religious groups where the governing body has a formally registered objection approved by the Government. This means that vaccine objectors will not be able to access these government payments. 'We welcome to the show Bonwyn Hancock, who has organised a protest against these draconian new laws. Bronwyn runs the Vaccination Information Service, which provides information and assistance all those who are seeking to find out more about the risks and benefits of vaccines. So, the Luciferian 'baalams' put poor and working-class family's between a rock and a hard place. Let's hope the fightback and resistance is massive, and the Liberal Party is sent to the 'boonies', never to return. This could be the spur to forming a real 'Party of the People' - the 'straw that breaks the PTB's back'. The vaccines were administered by the Mexican Social Security Institute, known as IMSS. The IMSS confirmed the deadly reactions occurred after children received injections of vaccines for tuberculosis, rotavirus and hepatitis B -- the same viral strains targeted by vaccines routinely administered to children in the United States. According to the entire mainstream media in the United States -- which is 100% controlled by corporate interests -- vaccines never harm anyone and are perfectly safe to inject into children in unlimited quantities. This dangerous, inhumane "Vaccine Injury Denialism" is rampant across the corporate-controlled media, which contributes to the deaths of innocent babies and children by refusing to acknowledge the truth that vaccines kill and injure children on a regular basis. California Gov says yes to poisoning more children with mercury and aluminum in mandatory vaccines. This corporate fascist must be stopped. Incredibly, GSK refused to release the vaccine unless the government indemnified them against any damages! Just like Monsanto have done with their GMO's and pesticides. Josh's mother Caroline Hadfield said his cataplexy sometimes caused "complete body collapse"
Well there it is, clear as day! Robert De Niro and his wife Grace Hightower. The actor has bowed to pressure to withdraw the anti-vaccination film directed by disgraced British doctor Andrew Wakefield. A controversial film about the discredited link between autism and vaccinations has been pulled from Robert De Niro’s Tribeca film festival, after the actor consulted “the scientific community” and found “concerns with certain things in this film”. The father of an autistic child and co-founder of the festival, De Niro at first defended the decision to premiere Vaxxed: from Cover-Up to Catastrophe, despite outcry from doctors and researchers. Repeated [no reference to how funded please] studies involving more than a million children have found there is no evidence to link childhood vaccines to autism. But a small movement of activists persists in the belief that vaccinations might somehow harm children. On Saturday De Niro released a statement to explain the new decision. “My intent in screening this film was to provide an opportunity for conversation around an issue that is deeply personal to me and my family,” he said. “But after reviewing it over the past few days with the Tribeca film festival team and others from the scientific community, we do not believe it contributes to or furthers the discussion I had hoped for. The controversial film was directed by Andrew Wakefield, a disgraced British former doctor who published an study in 1998 that claimed links between a vaccine for measles, mumps and rubella (MMR) and autism. The paper was quickly found to contain numerous flaws and was deemed by the British Medical Journal “an elaborate fraud”. The Lancet, which originally published the study, retracted it in 2010, the same year that Wakefield lost was stripped of his licence to practise medicine in the UK. 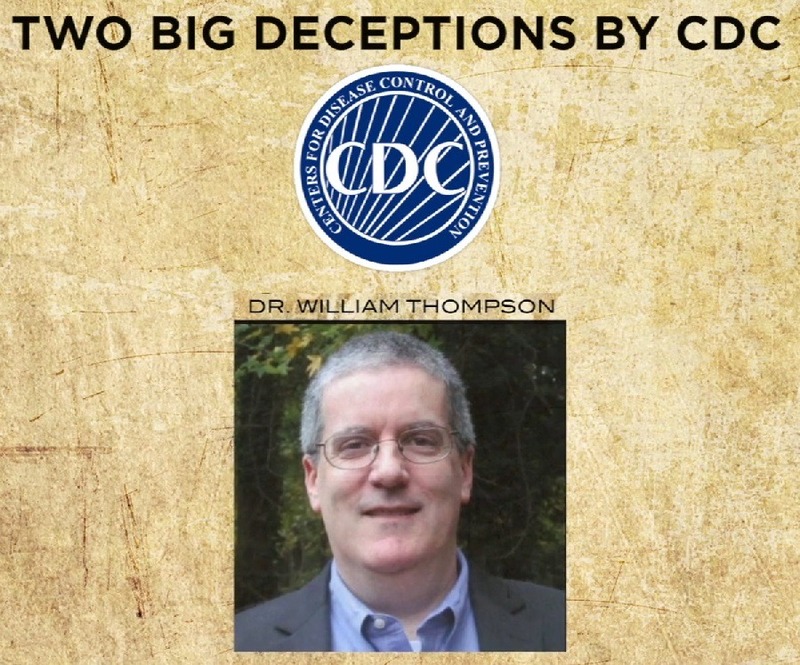 Wakefield appears in the trailer for his film, and claims that the Centers for Disease Control and Prevention have hidden evidence that would support his discredited claims. The trailer also asks “are our children safe” over the image of smoke swirling out of a syringe. Prominent scientists and film-makers urged the festival to remove the film, arguing that De Niro and organizers legitimized the claims made by Wakefield by premiering it at their prestigious festival. A former Government medical officer responsible for deciding whether medicines are safe has accused the Government of "utterly inexplicable complacency" over the MMR triple vaccine for children. Dr Peter Fletcher, who was Chief Scientific Officer at the Department of Health, said if it is proven that the jab causes autism, "the refusal by governments to evaluate the risks properly will make this one of the greatest scandals in medical history". He added that after agreeing to be an expert witness on drug-safety trials for parents' lawyers, he had received and studied thousands of documents relating to the case which he believed the public had a right to see. He said he has seen a "steady accumulation of evidence" from scientists worldwide that the measles, mumps and rubella jab is causing brain damage in certain children. But he added: "There are very powerful people in positions of great authority in Britain and elsewhere who have staked their reputations and careers on the safety of MMR and they are willing to do almost anything to protect themselves. "His warning follows reports that the Government is this week planning to announce the addition of a jab against pneumococcal meningitis for babies, probably from next April. It is also considering flu jabs for under-twos - not to protect the children, but adults they may infect. In the late Seventies, Dr Fletcher served as Chief Scientific Officer at the DoH and Medical Assessor to the Committee on Safety of Medicines, meaning he was responsible for deciding if new vaccines were safe. He first expressed concerns about MMR in 2001, saying safety trials before the vaccine's introduction in Britain were inadequate. Now he says the theoretical fears he raised appear to be becoming reality. He said the rising tide of autism cases and growing scientific understanding of autism-related bowel disease have convinced him the MMR vaccine may be to blame. "Clinical and scientific data is steadily accumulating that the live measles virus in MMR can cause brain, gut and immune system damage in a subset of vulnerable children," he said. "There's no one conclusive piece of scientific evidence, no 'smoking gun', because there very rarely is when adverse drug reactions are first suspected. When vaccine damage in very young children is involved, it is harder to prove the links. "But it is the steady accumulation of evidence, from a number of respected universities, teaching hospitals and laboratories around the world, that matters here. There's far too much to ignore. Yet government health authorities are, it seems, more than happy to do so. "'Why isn't the Government taking this massive public health problem more seriously? 'Dr Fletcher said he found "this official complacency utterly inexplicable" in the light of an explosive worldwide increase in regressive autism and inflammatory bowel disease in children, which was first linked to the live measles virus in the MMR jab by clinical researcher Dr Andrew Wakefield in 1998. "When scientists first raised fears of a possible link between mad cow disease and an apparently new, variant form of CJD they had detected in just 20 or 30 patients, everybody panicked and millions of cows were slaughtered," said Dr Fletcher. "Yet there has been a tenfold increase in autism and related forms of brain damage over the past 15 years, roughly coinciding with MMR's introduction, and an extremely worrying increase in childhood inflammatory bowel diseases and immune disorders such as diabetes, and no one in authority will even admit it's happening, let alone try to investigate the causes. "He said there was "no way" the tenfold leap in autistic children could be the result of better recognition and definitional changes, as claimed by health authorities. "It is highly likely that at least part of this increase is a vaccinerelated problem." he said. "But whatever it is, why isn't the Government taking this massive public health problem more seriously? "His outspokenness will infuriate health authorities, who have spent millions of pounds shoring up confidence in MMR since Dr Wakefield's 1998 statement. But Dr Fletcher said the Government is undermining public confidence in vaccine safety by refusing to do in-depth clinical research to rule out fears of MMR damage to children. He added that the risks of brain and gut damage from MMR injections seem to be much higher in children where a brother or sister has diabetes, an immune disorder. "That is a very strong clinical signal that some children are immunologically at risk from MMR," he said. "Why is the Government not investigating it further - diverting some of the millions of pounds spent on advertising and PR campaigns to promote MMR uptake into detailed clinical research instead?" Now retired after a distinguished 40-year career in science and medicine in Britain, Europe and the US, Dr Fletcher said that without such research, health authorities could not possibly rule out fears about MMR. He said: "It is entirely possible that the immune systems of a small minority simply cannot cope with the challenge of the three live viruses in the MMR jab, and the ever-increasing vaccine load in general. "He said he had decided to speak out because of his deep concern at the lack of treatment for autistic children with bowel disease, as revealed in The Mail on Sunday two weeks ago. He called the sudden termination of legal aid to parents of allegedly vaccine-damaged children in late 2003 "a monstrous injustice". After agreeing to be a witness for the parents, he received thousands of documents relating to the case. "Now, it seems, unless the parents force the Government to restore legal aid, much of this revealing evidence may never come out," he said. The Department of Health said: "MMR remains the best protection against measles, mumps and rubella. It is recognised by the World Health Organisation as having an outstanding safety record and there is a wealth of evidence showing children who receive the MMR vaccine are no more at risk of autism than those who don't." Over the past 35 years, patients have suffered from a largely hidden epidemic of side effects from drugs that usually have few offsetting benefts. The pharmaceutical industry has corrupted the practice of medicine through its influence over what drugs are developed, how they are tested, and how medical knowledge is created. Since 1906, heavy commercial infuence has compromised Congressional legislation to protect the public from unsafe drugs. Donald W. Light, Ph.D., is a fellow for 2012-2013 at the Edmond J. Safra Center for Ethics at Harvard University in Cambridge, MA. He received his Ph.D. in sociology from Brandeis University and is a professor of comparative health policy at Rowan University, School of Osteopathic Medicine. Joel Lexchin, M.Sc., M.D., has been teaching health policy for 12 years at York University in Toronto, ON. He received his M.D. from the University of Toronto in 1977 and since 1988 has been an emergency physician at the University Health Network in Toronto. Jonathan J. Darrow, J.D., M.B.A., LL.M., S.J.D., is a research fellow at Harvard Medical School and a lecturer on law at Bentley University in Waltham, MA. He received his S.J.D. from Harvard in 2013. The authorization of user fees in 1992 has turned drug companies into the FDA’s prime clients, deepening the regulatory and cultural capture of the agency. Industry has demanded shorter average review times and, with less time to thoroughly review evidence, increased hospitalizations and deaths have resulted. Meeting the needs of the drug companies has taken priority over meeting the needs of patients. Unless this corruption of regulatory intent is reversed, the situation will continue to deteriorate. We offer practical suggestions including: separating the funding of clinical trials from their conduct, analysis, and publication: independent FDA leadership; full public funding for all FDA activities; measures to discourage R&D on drugs with few if any new clinical benefits; and Institutional corruption is a normative concept of growing importance that embodies the systemic dependencies and informal practices that distort an institution’s societal mission. An extensive range of studies and lawsuits already documents strategies by which pharmaceutical companies hide, ignore, or misrepresent evidence about new drugs; distort the medical literature; and misrepresent products to prescribing physicians. We focus on the consequences for patients: millions of adverse reactions. After defining institutional corruption, we focus on evidence that it lies behind the epidemic of harms and the paucity of benefits. It is our thesis that institutional corruption has occurred at three levels. First, through large-scale lobbying and political contributions, the pharmaceutical industry has influenced Congress to pass legislation that has compromised the mission of the Food and Drug Administration (FDA). David Ayoub, M.D. goes through the relations of Mercury to Autism as well its connections to "National Security Study Memorandum 200"; for population control. Showing its shocking connections to today's G.A.V.I. Are powerful forces really trying to help the poor people or could it be for another agenda; the sterilization of the poor? This is an upsetting video, so brace yourself. 'In 1997, Congress passed the FDA Modernization Act. A provision of that statute required the FDA to "compile a list of drugs that contain intentionally introduced mercury compounds, and provide a quantitative and qualitative analysis of the mercury compounds on the list." In response, manufacturers reported the use of the mercury-based preservative, thimerosal, in more than 30 licensed vaccines.
" … raise questions about FDA being 'asleep at the switch' for decades by allowing a potentially hazardous compound to remain in many childhood vaccines, and not forcing manufacturers to exclude it from new products. It will also raise questions about various advisory bodies regarding aggressive recommendations for use. We must keep in mind that the dose of ethylmercury was not generated by "rocket science." Conversion of the percentage thimerosal to actual micrograms of mercury involves ninth grade algebra. What took the FDA so long to do the calculations? Why didn't CDC and the advisory bodies do these calculations when they rapidly expanded the childhood immunization schedule?" The agency consulted with experts in the field of toxicology to better understand the potential impact of these exposure levels. One consultant was Barry Rumack, MD. Dr. Rumack, at the time, had a private consulting practice, Rumack Consulting, where he offered "toxicologic and pharmacologic evaluation of drugs, biological and potentially toxic or hazardous agents for government and industry." After creating several scenarios based on infants' ages and weights, Dr. Rumack modeled blood and body burden levels in 1999. "Baldly dismissing the danger to humans from ethylmercury, has long been a reckless gambit," said J.B. Handley, a Portland, Oregon, businessman who believes that his son received debilitating injuries from a mercury vaccine. "With this study, by its own scientists, the CDC has now edged into the realm of criminal endangerment."